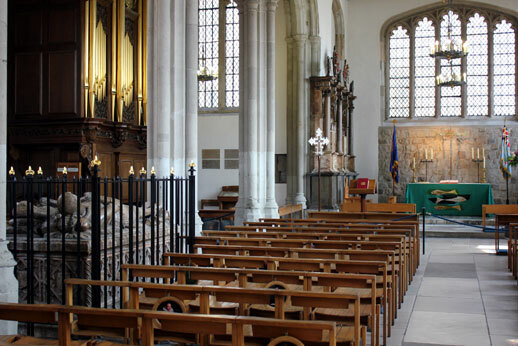 The chapel of St Peter ad Vincula, the ‘Parish Church’ of the Tower of London is the resting place of numerous famous characters from British history. Due to the nature of their deaths, few have marked graves, with the majority of known graves belonging to former residents of the Tower. The chapel is thought to have been the site of Christian worship since the Anglo-Saxon period and would have originally stood outside the walls of the Tower, before being enclosed during the 12th Century. The current structure is at least the third on the site, having been rebuilt twice since the White Tower’s construction, firstly by Edward I in 1286 and again in 1519 under Henry VIII. 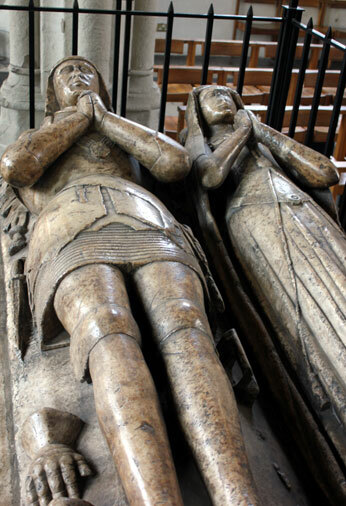 The oldest original tomb in the chapel is the monument to Sir Richard Cholmondeley, a former Lieutenant of the Tower of London, and his wife Elizabeth. 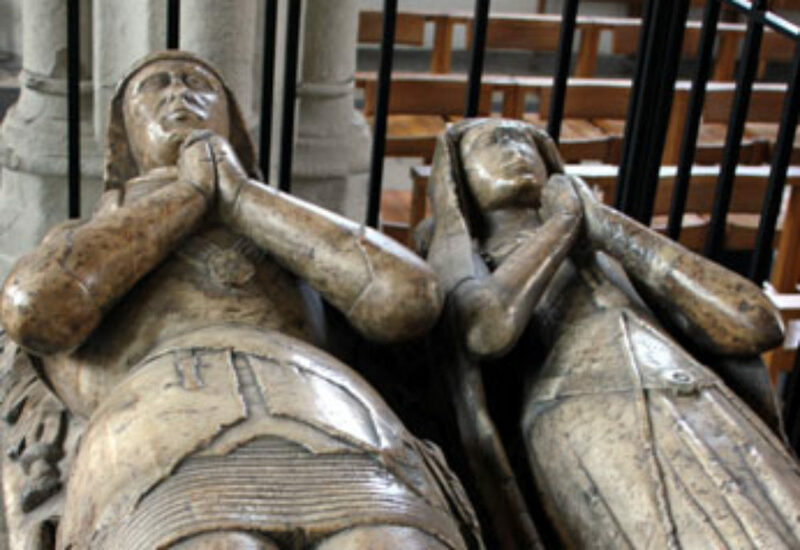 The monument is constructed out of alabaster, with a limestone base and, based on the date of Sir Richard’s death is dated to 1521-1522. 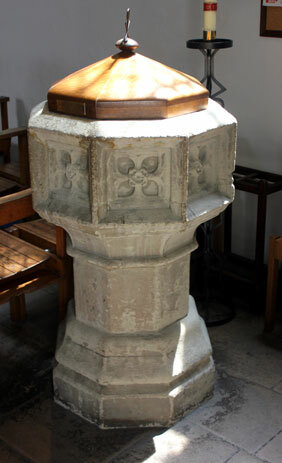 Due to the Tower being unaffected by the Great Fire of London, it is one of the few surviving pre-seventeenth century church monuments in the City of London. 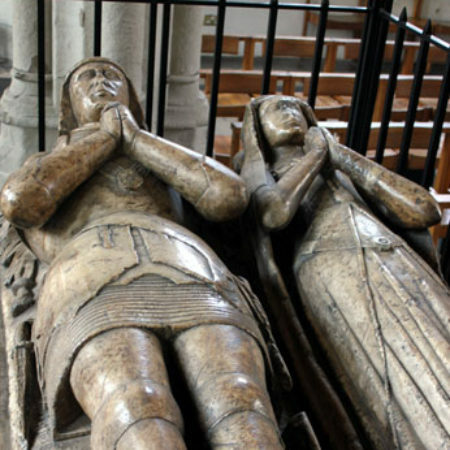 The monument consists of effigies of Sir Richard and his wife Elizabeth, both lying-down and facing east with their hands clasped in prayer. Sir Richard is portrayed in full-plate armour with his feet resting on a lion and his head on a helm. Around his neck he wears a Lancastrian collar of Esses as a sign of his office and status. Elizabeth is supported on a cushion held by angels at each corner, with two small dogs at her feet. Sadly the monument has lost some of its original detail and has been damaged. Only small traces of the original polychromy can be seen under a microscope due to the monument being waxed by the Victorians, while Lady Cholmondeley’s nose was broken by a visitor in 1914. The monument has also suffered due to being moved on at least three occasions since 1842, with the base especially affected due to being placed against a wall in the nineteenth century. Sir Richard is famous for two reasons. In his role of Lieutenant of the Tower he ordered that the Tower’s cannons be fired upon rioters in the City of London during the ‘Evil May Day’ of 1517. While in death he was immortalised as the Lieutenant of the Tower in Gilbert and Sullivan’s Savoy Opera, The Yeoman of the Guard. Amongst the current Yeomen of the Guard, Sir Richard’s major claim to fame appears to be that his tomb is now empty. Details of his life are vague, indeed contemporary documents (including his will) refer to his surname as ‘Cholmeley’ suggesting that the plaque on his tomb may have been misspelled. He was born around 1460 and as a young man appears to have been a member of Henry VII’s Court. After receiving his knighthood in 1497 he gained several new appointments in the north of England. He relinquished most of these in 1503 and may well have moved south to a new appointment of the Lieutenant of the Tower in 1504. Although no official date of appointment can be established, Cholmondeley was certainly in position by Henry VIII’s coronation in 1509. In his role as Lieutenant of the Tower, Cholmondeley was responsible for organising the ordnance based in the Tower, helping to sending supplies and equipment to the English army in France as well as being personally responsible for any prisoners. 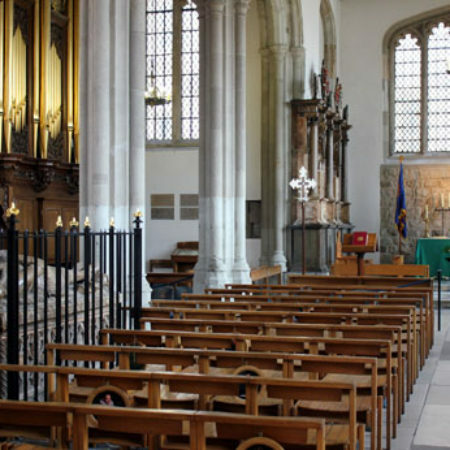 His will, proved in March 1522, stated that he wished to be buried in the Chapel of our Blessed Lady of Barking beside the Tower of London (All Hallows) or if they would not allow it, then in the church of the Crutched Friars beside the Tower of London. Recent work on burials at the Crutched Friars has shown that some monuments were relocated after the institution’s dissolution in 1538. It is likely that this is what happened to the Cholmondeley Tomb as an entry in the Chapel’s burial register for “Sir Roger Cholmley’s father” appears in the period 1554-1557. Sir Roger Cholmley (c.1485-1565), judge and MP for Middlesex was the illegitimate son and sole heir of Sir Richard suggesting that he had used his influence to move his father’s monument. The monument gained its local fame, however, when it was moved during the renovations of 1876. When opened, the tomb was found to be empty, with the exception of the original Tudor font, which has now been re-instated to the chapel. The traditional (but un-sourced) story follows that a priest placed the font in the tomb for safe-keeping during the Commonwealth, before he was executed by Parliamentary troops, ensuring it remained hidden for another 200 years. 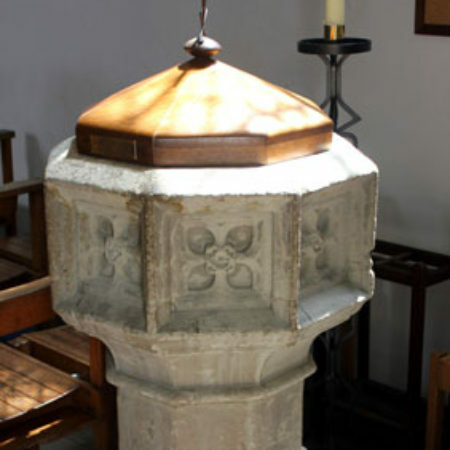 The font’s presence ensures the fates of their remains are unknown; were they inside the monument when it was relocated to the chapel, only to be replaced by a font during the 1640s and now in some unmarked grave? Or were they never there in the first place? A fact known to a desperate priest who hid a font in a monument he knew to be empty, never to return to reclaim it. TNA Work 14/144 – Memoranda: Damage to Cholmondeley Monument in St Peter’s Chapel (10 May, 1914). TNA PROB 11/20/327 – Will of Sir Richard Cholmeley of Saint Mary Barking, City of London (24 March, 1522). Christian Steer, ‘ “better in remembrance”: Medieval commemoration at the Crutched Friars London’, Church Monuments, 25 (2011), pp.36-57. Mervyn Blatch, A Guide to London’s Churches (London, 1978), 404-405. View looking east of the Chapel of St Peter ad Vincula. The Cholmondeley Monument is inside the railings in the left of the image.